Bake the Italian sausage in the oven. Chop up spinach, basil, celery, carrots, garlic. You could use a crock pot and let cook on high for a few hours or cook on stove top. I had to cook on stove top because I broke my crock pot recently. So on stove top pore the chicken broth in a pot and place all of the chopped up veggies and cook on high. Once it starts to come to a boil ad the orzo. The orzo will soak up a lot of the chicken broth. Let boil for about 10 minutes or until orzo is soft. When the sausages are fully cooked cut into small pieces and place in the soup. Then add all of the seasonings let simmer for another 10 minutes. Enjoy! Seasoning: salt pepper, a southwest or fajita seasoning is good to add for more flavor. Blend all together to create a mixture for the stuffing. Directions: Cut avocados in half and take the pit out. In a bowl add the chopped onion, chopped red bell pepper, black beans and green onions. Then add the sauce and mix all together. Put stuffing into avocados and add grated manchego cheese to top of avocado. Bake at 350 degrees for about 15 minutes. Enjoy! Optional: Tabasco sauce on top. Butterfly chicken breast and cut small slits down the middle of each chicken breast. Season the chicken with salt and pepper. On stove top ad the coconut oil and brown chicken breast on each side on high then bring stove down to medium heat add white wine and let cook all the way through. In a separate pan ad two tablespoons coconut oil, goat cheese, chopped sun dried tomatoes, chopped Canadian bacon and seasoning. Cook on medium heat stirring the whole time until it melts the goat cheese. Then fill the goat cheese sauce into the slits on the chicken breast. Or just pour it all over the chicken. Enjoy! 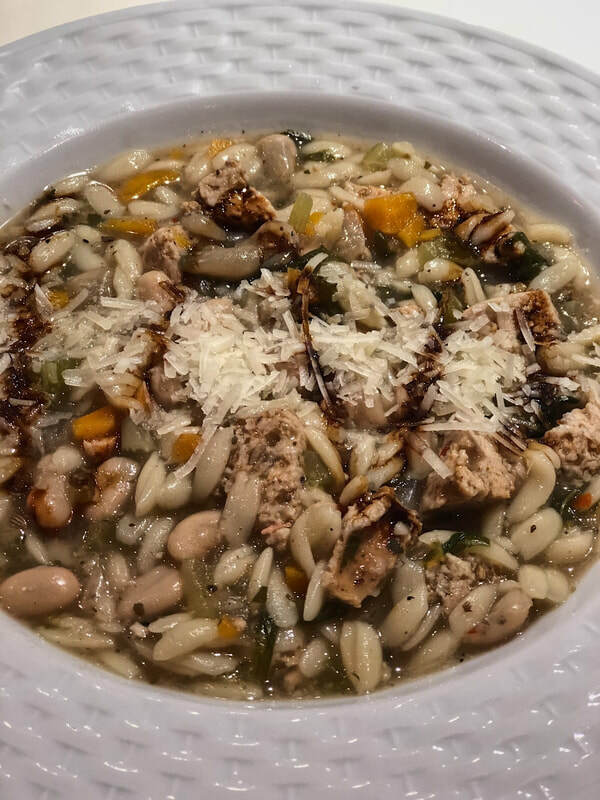 This recipe like most is based off of what I had in the fridge. My spiral slicer broke so I used a potato peeler to get the zucchini and squash pasta like. Seasonings: garlic powder, oregano, thyme, parsley, a little sea salt. Ad the coconut oil, onion, and garlic to stove top and saute. I had left over chicken breast that I chopped up. I added that to the saute and then added all of the pasta noodles and on medium heat cook for about 5 minutes or until noodles are soft. Once noodles have softened I try to drain some of the water. I then add the coconut cream, cherry tomatoes, bacon and seasonings. Let simmer for another 5 minutes. Shredded manchego cheese is great on top! This is such an easy healthy alternative for a quick lunch on the go as long as you have the ingredients at hand. Recently I have gone completely gluten and dairy free so we have had to become creative. You will need a mason jar with a lid. At the bottom I put the dressing I made. I blended an Avacado, 4 tablespoons olive oil, one line squeezed, handful cilantro, slice of jalapeno (optional), one garlic clove and added salt and pepper. Then once it's blended you can add more olive oil and keep blending until you get the consistency you like. Then you put lid on and put in the fridge. When ready to eat you shake it all up in jar and can pour onto a plate or eat out of jar. Paleo, Gluten and Dairy free. Mash all the bananas in a bowl until there is no clumps. Add the flour and baking powder and mix together. Then add all the other ingredients and mix together. You can do either walnuts or pecans in place of the chia seeds. Put in cupcake holders and bake for about 15-20 minutes or until a tooth pick comes out clean. Put your crock pot on high. Chop cheeses into cubes put in crock pot. Chop up the artichoke hearts and put in crock pot. Mash the avacado and put in crock pot. Add the rest of the ingredients and let cook for about 1-2 hours on high checking periodically. Once stuff starts to melt start mixing it and get it to a consistency that you like. Once it's hot enjoy with gluten free chips! 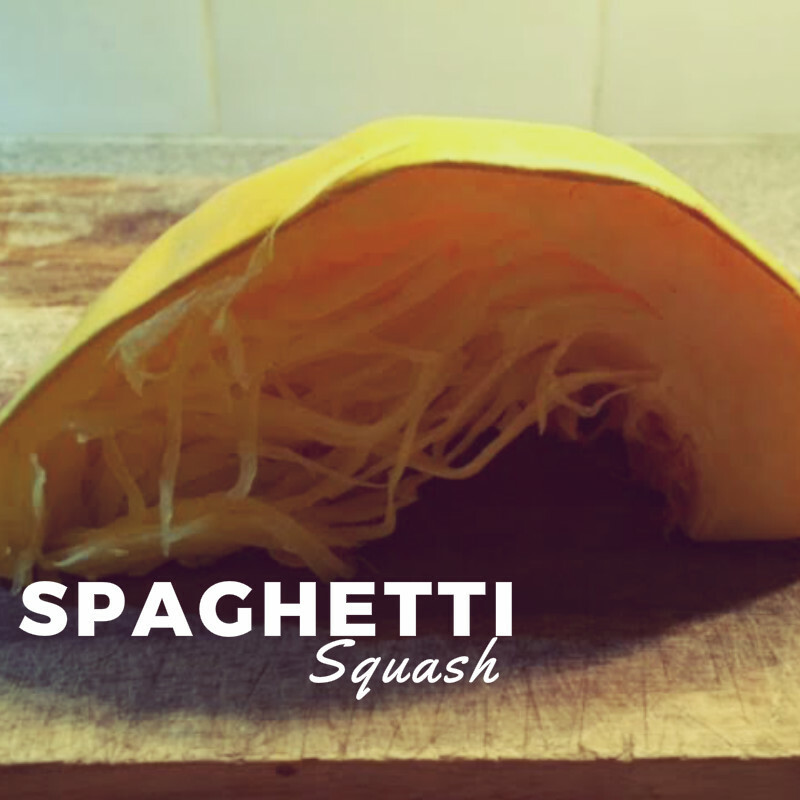 How to make Spaghetti Squash Noodles. Cut the spaghetti squash in half down the middle then in half again making four pieces. Before placing on baking sheet remove all the seeds. You can tell the spaghetti squash is ready when the edges look a little brown and the spaghetti squash is soft. You either need to wait till the spaghetti squash cools or I use an oven mit to hold the spaghetti squash and take a fork to start shredding the noodles. Pic below shows how the spaghetti squash comes out in a noodle form. Once I've shredded them I use just like noodles and have done several pasta recipes with it. CLICK HERE for my spaghetti recipe. 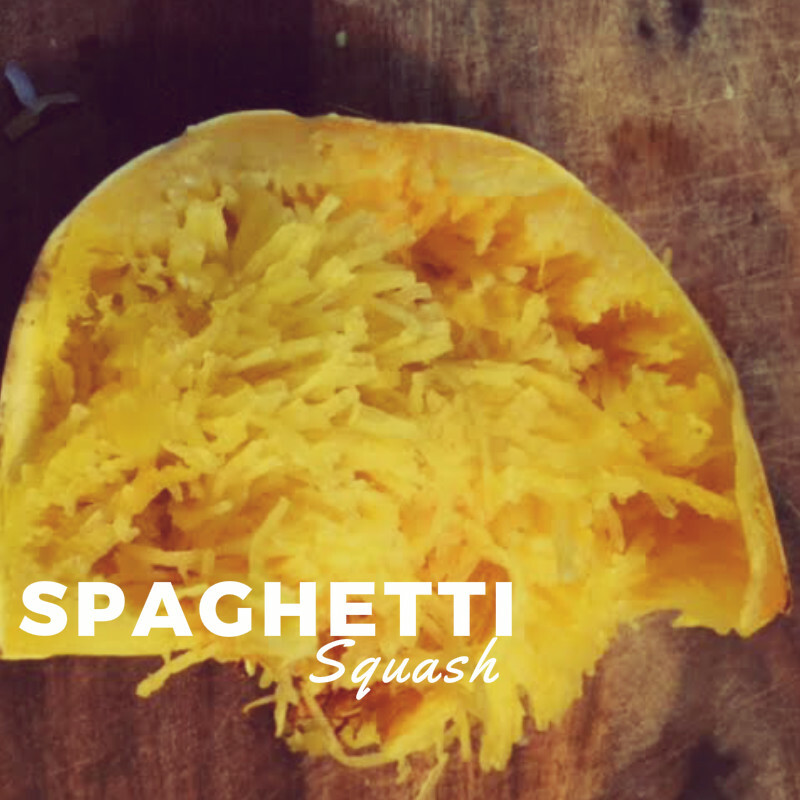 Spaghetti with Spaghetti Squash Noodles. On stove top cook sausage first if its in a casing cut the sausage out of casing and cook on stove top and break it up. Once cooked ad the beef and cook until all cooked through. In a bigger pot sauté garlic and onion then add the beef and sausage, tomato sauce, tomatoes and seasonings and let simmer. Then once spaghetti squash is cooked, shred into a bowl add the sauce and mix all together. It's that easy! Optional for the cheese lover: shredded manchego cheese. I've also added a sheep milk feta in the sauce before . Sauté the onions and garlic for about 2 minutes on medium heat then add the pancetta and cook until pancetta is cooked through about 5 minutes. Then ad the chicken to the pan ( if chicken breast is really thick I usually butterfly it). Turn the heat to high and brown both sides of the chicken. Then bring down to medium heat ad white wine or more oil if needed and cook until chicken is cooked through about 15 minutes. Last 5 min add the butter to melt and mix in. Enjoy!